Amid speculations about alliance with the Congress in the Lok Sabha polls, Delhi Chief Minister Arvind Kejriwal on Sunday said his party will do anything to “save the country” from Narendra Modi (Prime Minister) and Amit Shah (BJP president). Addressing media persons after a meeting of Opposition parties to discuss the issue of EVM malfunctioning in the ongoing parliamentary election, he said the country is in danger. “We will do anything to save it. Our effort to save the country from Narendra Modi and Amit Shah will continue,” Kejriwal said. 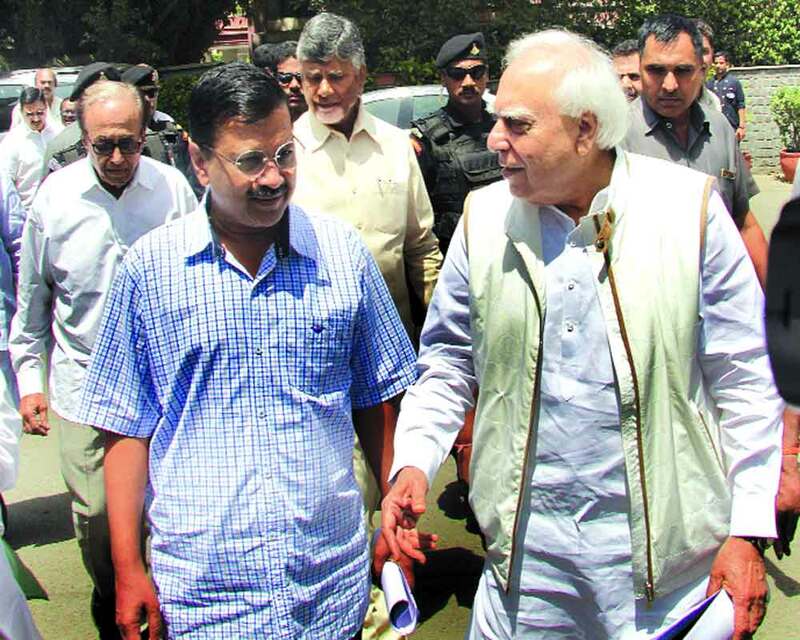 Congress leader Kapil Sibal, who was also present on the occasion, however, dodged questions on an alliance with the AAP and threw the ball in Kejriwal’s court saying, “He knows better”. “You ask him about the alliance. He knows better than us,” Sibal said, even as Congress leader and Rajya Sabha member Abhishek Manu Singhvi said, “You know the stand of Congress. The alliance was almost done in Delhi but linking it with other States is not right.” The uncertainty over an alliance between the AAP and the Congress has been continuing for some time now. The talks between the two sides derailed after they failed to reach an agreement over seat-sharing in Delhi and Haryana. Congress’ in-charge for Delhi PC Chacko had said on Friday that the Congress would go it alone in Delhi as the AAP had taken an “impractical stand”. On Saturday, AAP leader and Deputy Chief Minister Manish Sisodia said on Saturday that his party was ready to form an alliance with the Congress in Delhi, Haryana and Chandigarh but it would not agree for a tie-up just in the national Capital. Despite all the talk about the proposed alliance, Congress has not cleared its stand on the possible coalition and that has resulted in overall confusion among party workers. A party insider said the inordinate delay in clearing the air over an alliance is queering the pitch for the party as workers are getting disheartened. The inability of the party High Command in clearing the air and also delaying the announcement of its candidates has further weakened the party.